This colorful owl adds a cheerful touch to any room. 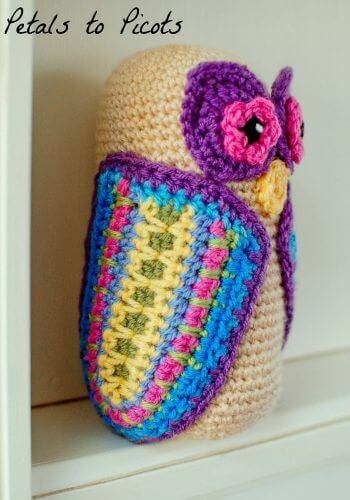 Makes a perfect gift for that special owl lover or as a treat for yourself. 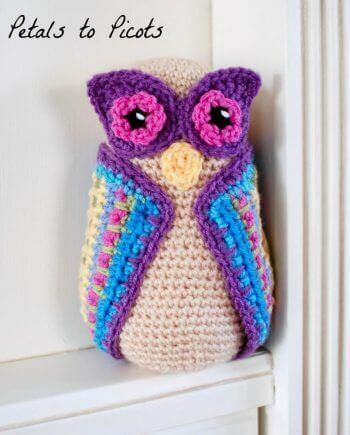 This colorful owl adds a cheerful touch to any room. Makes a perfect gift for that special owl lover or as a treat for yourself. 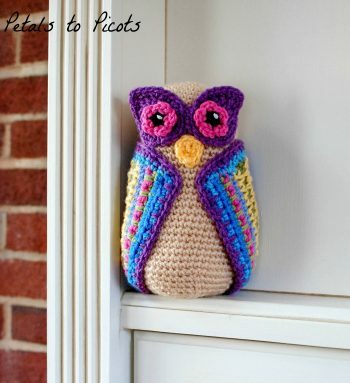 The easy-to-follow owl crochet pattern is written in American English according to Yarn Council standards and guidelines. 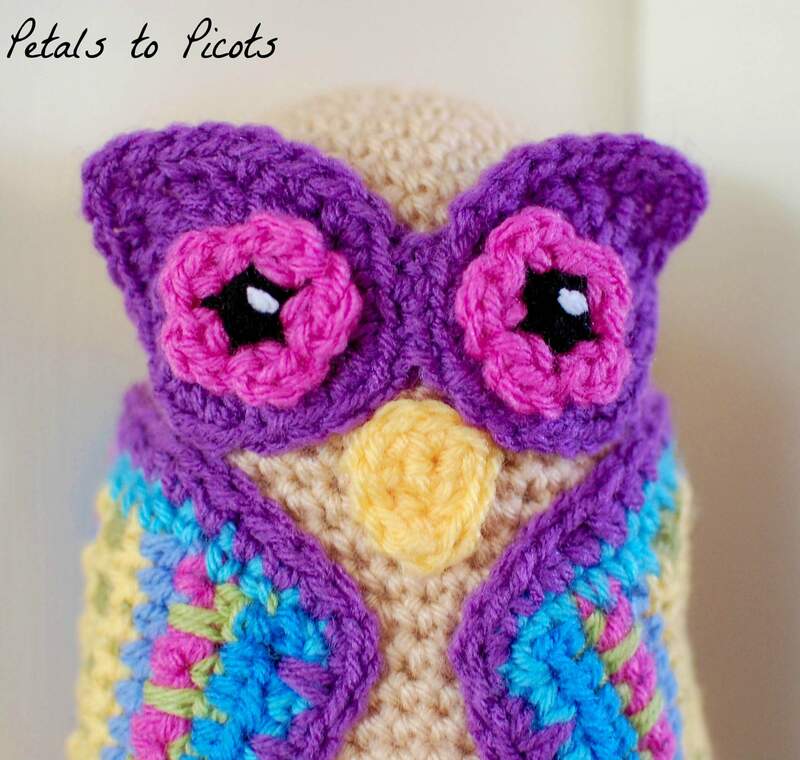 Stitch counts are provided at the end of each row/round and full color photos are provided for ease of use.